This card is made for today's Sweet Stamps' post. I am using the Poppy ATC stamp and coloring it in with Copic markers. I die cut the flowers after I finished coloring. On the middle circle die, I did a 3rd generation stamping to eliminate the black and created a background behind the sentiment. The fun part is creating the embossed multi-color background for the card front. I did it by using my air can and Copic markers with yellow, blue and green colors then embossed it. I finished off the card by adding sequines using Glastique to adhere it to the embossed background. I finished off the card by added a ribbon and a pearl accent. OOPS! I also added some Wink of Stella to the flowers. Can't see it in the photo but it's a nice shimmer in person. Tools: Spellbinders (scalloped circles), embossing folder - name?? Just love the cheerful Springlike colours.You've embellished this so prettily.Fabulous work.Thanks for joining us at Crafty Sentiments.Hope to see you again next week. Beautiful soft background for your flowers! 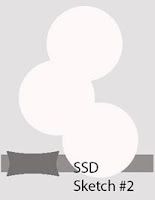 Thanks for joining us at SSS Monday challenges this week! Wow, this is gorgeous, Kim! I love the embossing and the colored background you have created! Beautiful flowers too! Thanks for joining the Craft-Dee BowZ May Challenge, "Anything goes and include a handmade bow". So pretty! Those blooms are gorgeous.Thanks for joining us at Happy Little Stampers! Love the soft beautiful colors on your gorgeous card! Thanks for playing along with us at DL.ART Thankful Thursday Challenge! A very pretty card in lovely colours Kim, many thanks for joining us at Penny Black and More challenge this month. Great design, love how you used the second generation stamping for the tag. Thanks so much for sharing it with us at Penny Black & More. Gorgeous flowers! Love all those details! Thanks for joining us at Skipping Stones Design! So pretty! Love your coloring and the spritzed background! 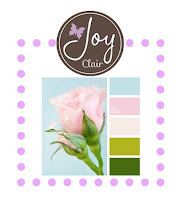 Thank you so much for linking up with us at Joy Clair! Nice, love the background and your colors. Thanks again for joining JC. Gorgeous card! Love the embossed background and those sweet flowers! Thank you for joining our May Birthday Bling Challenge at Great Impressions.